So what does social networking have to do with LBS. Right now, perhaps not a great deal, but very soon, it could have a great deal to do with mobile. Social networking is a massive growth segment of the Internet. There are some interesting things happening in this area. One is that Social Networking, which began largely as an online way of connecting to people in more meaningful ways, not only people you know, but also people with whom you have business or personal interests in common. There has been an interesting evolution in Social Networking recently. The first is that it has gone mobile in a big way. I have been talking with Telcos from UK, Europe, the USA and New Zealand over the last couple of months about LBS and Social Networking. All of them have confirmed that close to and in many cases more than 50% of all mobile data traffic today is taken up by social networking. They didn’t plan for this, they didn’t market or advertise it, they didn’t expect it. Consumers just made it happen and in many cases, developers created mobile phone applications that can be installed as a simple download allowing people to use elements of applications such as Twitter, Facebook, Hyves and many others on their phone including the ability to upload photos and post them on your social networking site, as well as connecting to the phone to ring them, from within the mobile. In one of my personal blogs, I have written about Social Networking including the first in a series on the use of Twitter for Business. One of the changes that is happening is that the social networks which were largely around connecting to people via the internet, but now there are all sorts of real face to face connections being made. Groups are using social networking to meet their ‘friends’ in the real world. For example, we are members of the Wireless & Broadband Forum. The forum has recently started to use Facebook to invite people to attend their events such as Wireless Wednesday, which was where we held the Prize Giving for the 2009 Location Innovation Awards. I also belong to a number of other business groups which use Social Networking to organise get togethers or ‘meetups’. Given the interesting change that social networking is evolving from an environment where people find each other and commuicate on the Internet, to actually meeting each other in the real world, LBS offers a great opportunity to enhance that by facilitating finding each other, getting driving directions from where you are to the meeting place. GeoSmart of course has many tools to facilitate this in the mobile environment, such as identifying where you are and providing Driving Directions to the meet location. Geocoding and Reverse Geocoding can identify where you are now and the location of your destination. The Point of Interest Web Service V2 can identify a street address, but also contains a huge database of POI including cafes, restaurants, accomodation and lots of other business data as well as petrol stations, ATM’s, Public Toilets and even boat ramps if you are going to meet on the water. A lot of mobiles now have GPS built in and for those that don’t, the ability to identify the nearest cell site(s) is another way to get at least an estimate of the location of the user. Of course another very important component is maps. 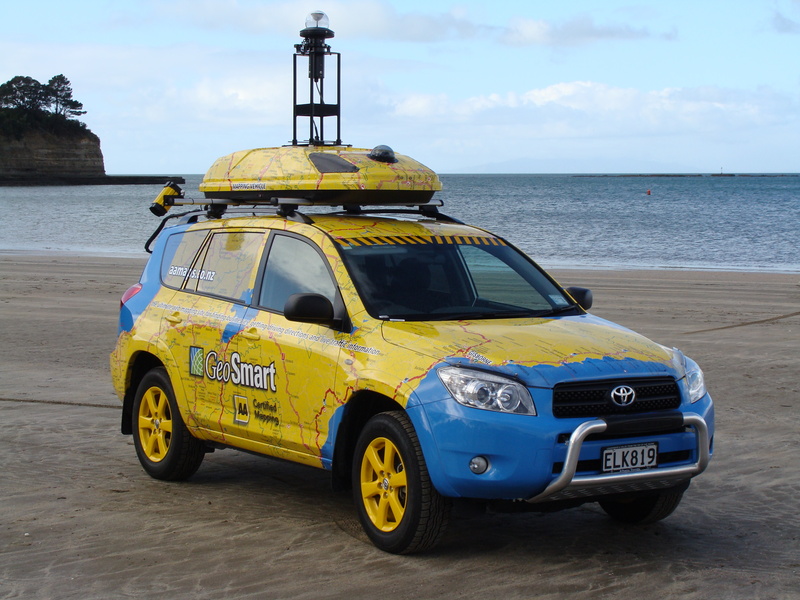 You can find out more about why our maps are the best in New Zealand for LBS here. If you are using social networking on your mobile, Location is one of the most relevent components and you will find more information about this in coming blogs, so why not subscribe with your favourite RSS reader, so that you don’t miss anything. Geocoding and Reverse Geocoding are key components for many LBS Applications. Geocoding is the process of generating a set of co-ordinates, which are subsequently used to display a location on a map. If you have a huge database of addresses, we typically do this as a batch process and have tools designed to try to compensate for poorly laid out databases, or errors such as mispelling, wrong suburb or when people like Real Estate Agents make up their own to make a location sound more attractive. A common one for example is Whangarei Surrounds. There is a place called Whangarei, but not Whangarei surrounds. Computers being fairly literal, if you try to search for a place that doesn’t exist in the database, you have to get creative. If you are using an SMS service, you would have to have a very good address, if you want to get a good result. If the address doesn’t exist in our database, we can return a set of co-ordinates that are next best, for example if we don’t have the exact street address, we can return the middle of the street. One common issue in New Zealand which dates back to the days when we had lots of councils who didn’t consult with each other on street name allocation. As a consequence of this there are many duplicates. 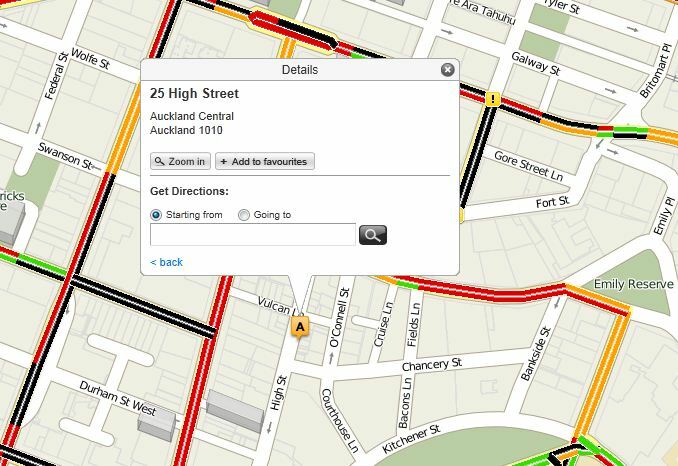 For example there are 23 different Queen Streets in Greater Auckland. An autocompleter is a great way of getting to the correct address first time. You can see a nice example of this on AA Maps, where a new request is made of the POI Web Service every time a new character is entered, if the right result comes up at that point, you can click on it and then perform the action desired, such as viewing it on a map. This can function easily in a PC browser and can work fine in many mobile browsers. The main difference in a mobile would be that you reduce the number of results displayed in a list to make it user friendly on the smaller display. Reverse Geocoding is a powerful tool for mobile devices. What this does is using the co-ordinates derived from the mobile phone, we can display the users current location on a map. What we can then do is provide information about Points of Interest close to the user. Locating children or elderly people, to ensure they are where they are supposed to be. This can include things like geo-fencing (which will be explained in a future blog). The concept for children or elderly people might be to make sure they are at school, or perhaps close to the home or retirement village. It is very common for elderly people with Alzheimers or other conditions to wander off and then lose track of where they are or how to get back. Reverse Geocoding could enable authorised people to find out where they are if they have gone missing. Geo-fencing allows you to create a ring or polygon around the area they should be at, for example the gardens and surrounds of a rest home, but set of an alarm within a system if people leave that area, or go within a predefined distance of that area. Locating people for health purposes. For example a system in Europe was designed to locate people such as diabetics who are away from their home and don’t have their insulin with them. Reverse geocoding could locate exactly where they are, while a proximity tool could identify the nearest Pharmacy which could prepare are dose and put it on a taxi to the patient’s location, even if they are disoriented and not sure where they are themselves. This leads on to another benefit of reverse geocding in mobile applications. One of the most common services being developed for mobile applications is the ability to find Points of Interest nearby the location of the person’s mobile, without them having to be able to identify their location. This would then utilise either a proprietary database, or the GeoSmart subscription POI database which was mentioned in our previous blog. We have an extensive database covering most locations you might want to find when you are out and about. It could be (follow the links for examples on AA Maps web site) a motel, BP petrol station, a public toilet, a National Bank ATM, a pharmacy, cafe or pretty much anything. This makes it really for people to find anything they need within proximity of their location, without having to kow where they are. Proximity Based Marketing will be a huge growth area for LBS which is enabled by these tools as is Location Based Social Networking. Of course if you now have the co-ordinates of where you are and the co-ordinates of the location you want to go to, you can now offer turn by turn directions to that location n the mobile. This will be the topic of our next blog, so if you are interested in this subject, please bookmark this blog, or add it to your RSS aggregator such as iGoogle. Geocoding and reverse geocoding a critical tools for mobile LBS applications.